The Malaysian women's bowling team has been crowned as the world champion in Las Vegas on Sunday night, 3 December 2017, ending the country’s 10-year drought. The team which made up of Shalin Zulkifli, Siti Safiyah Amirah Abdul Rahman, Sin Li Jane, Syaidatul Afifah Badrul Hamidi and Natasha Roslan won against Singapore in the finals, in both sets 214-209 and 188-177. The last time Malaysia won gold in the event was in 2007 in Monterrey, Mexico and prior to that in 2003 in Kuala Lumpur. 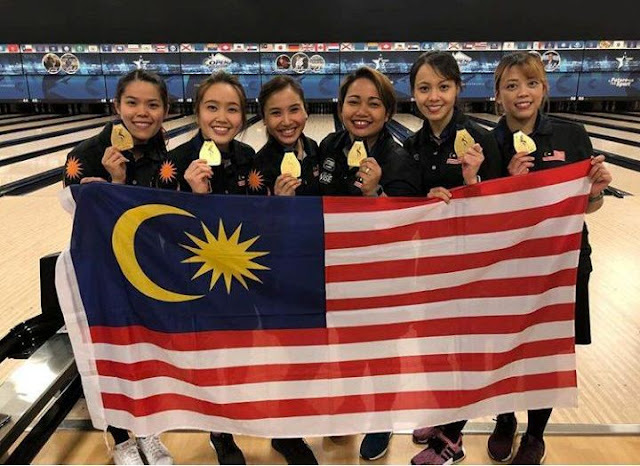 It was Malaysia’s third world championship victory at this year's edition, after winning silver in both the women's doubles (Shalin and Li Jane) and women's all-events (Siti Safiyah) last week, New Straits Times reports. The tournament concluded with the Masters event yesterday on 4 December. 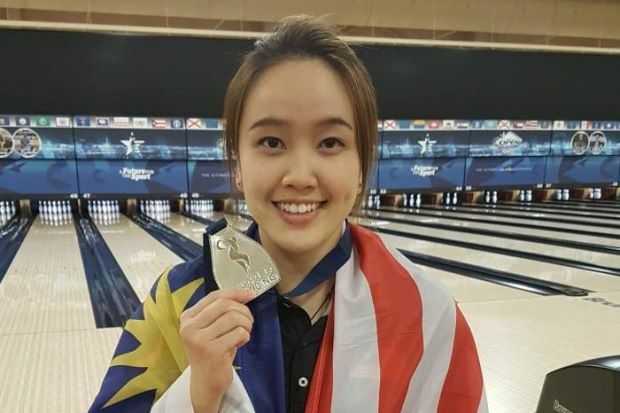 Sin Li Jane fell short of winning Malaysia's second gold when she finished runner-up, losing 225-256, 221-236 to defending champion Jung Da-wun of South Korea. Nevertheless, her effort ended Malaysia's world meet campaign with a medal haul of one gold and three silvers!